The cold of February, which seems to diminish outside activity somewhat, can spark creativity and expression, making it a perfect weekend to sample the local arts scene in its many variations. Community Music School, Trappe, presents "A Little Night Music," a concert comprising selections by Academy- and Tony-Award winner Stephen Sondheim. His wit with a lyric and his complexity with a melody have become the cornerstones of his distinctive sound, featured in such famous works as West Side Story, Sweeney Todd and the current film version of Into the Woods. Soloist Maggie Riker, a veteran of both the operatic and musical comedy stages, is the featured performer, supported by participating vocalists and accompanist Marie Anderson. The program delves into Sondheim&apos;s exploration of love, just in time for the upcoming Valentine&apos;s Day weekend. The art of outdoor photography is stunning at this time of year, with fields and woods dusted in snow. There is perhaps no more picturesque winter vistas in the county than those at Valley Forge National Historical Park, which makes the "Landscapes & Structures Photography" program not only useful but fun. The next ranger-led session is February 7 at the Betzwood Picnic Area at 8 a.m. High-end equipment is not required; the program trains attendees in using multiple technologies (camera, tablet, cellphone) to their maximum advantage. Additional sessions are held February 21 and 28. Victorian Valentines were arty creations of lace and frill, often framing heartfelt expressions of love to a lady fair or a dashing gent. 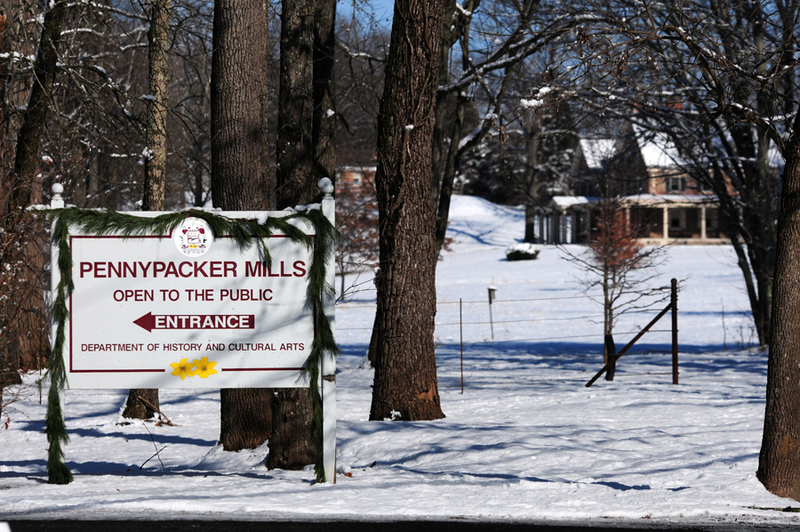 Pennypacker Mills introduces the tradition to kids in an arts-and-crafts session on February 7. The materials will be supplied - along with some gentle instruction - but the real point of the morning is for young Lords and Ladies to let their creativity go as far as it will take them. Stagecraft at its finest is apparent in the Montgomery Theater production of Light Sensitive, opening this weekend and running until March 1. The story involves a tough New York City cabbie whose perspective is changed - literally and figuratively - when he loses his site in an accident. Come and enjoy the production of a play the L.A. Times has called "A funny and touching comedy. The jokes fly fast and furious! A sweet play that champions the healing power of love and friendship." A rustic meal, prepared in traditional fashion, can be a thing of beauty, especially considering the challenges that need to be overcome to successfully plate an entrée. 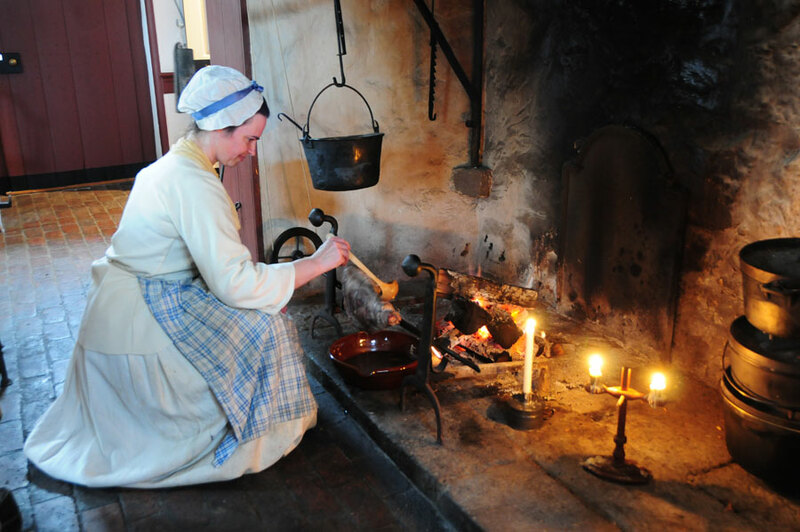 On February 7, history cook Tiffany Fisk-Watts demonstrates how at Pottsgrove Manor. The open-hearth cooking workshop "Roasted, Baked and Stewed" employs a full array of 18th-century cooking apparatus, including something called a clock-jack spit, a mechanical device that used a key-wound spring to turn meat over a fire. You&apos;ll go home with not only an appreciation for kitchen-skills from long ago, but also several recipes and handouts. Escape the grip of the cold and snow with a Make It Montco weekend in one of our fine accommodations. Our ongoing winter promotion provides comfortable rooms and suites, expert service, a complimentary appetizer for dinner or a breakfast the following morning, a box of chocolates and a voucher on the use of a Zipcar. The latter is especially useful because once you&apos;ve been here, you will want to come back soon. Details on the packages are on our website.